Note: I’ve recently updated the layout of my site and so the examples I gave might not apply for my site, but hopefully you can take some tips and strateges away from this that will help you build your email marketing list. If you’re looking for how to build your email marketing list quickly, you’re in the right place. In this how-to article I want to show you exactly what I did to double the rate of opt in email subscribers overnight. What I’m going to show you is simple and you can do it too! If you want to start building an email list, let me recommend AWeber. It’s got an easy to use drag-and-drop form builder with 100s of ready-made templates and it’s inexpensive. Test drive AWeber FREE for 30 days. The biggest regret is not starting to build an email subscribers list sooner than I did. Please don’t do what I did and wait for your blog to be perfect. Your blogs will always be a work in progress. Start building your email list today. But that’s the point – good is the enemy of great! For the first two years of my first niche website I replaced my full-time income and I was happy enough with that. 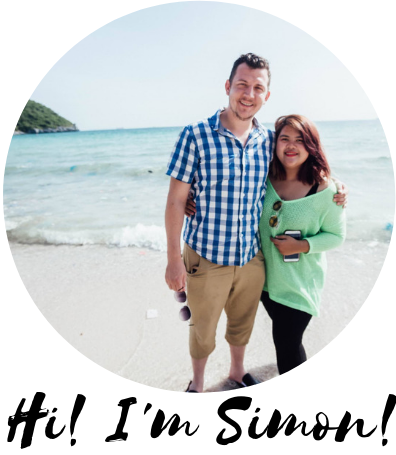 I then made the move from the UK to Thailand in 2014, got busy with my new life and let my blogs tick over for a while. For the next year the daily traffic from Google doubled to 1,200 unique daily visits without much help on my part, but the revenue I earned from my blogs stayed about the same. You see, I always thought there was a direct correlation between traffic to your blog and the amount of money you make with your blog. Now I know how wrong I was. The money is in building an email marketing list. I decided to do what I’d been putting off for too long and signed up to AWeber, stuck an opt at the top of my sidebar and slowly but steadily over the next 6 months I made it past the 2,000 email subscriber milestone. 2,000 email subscribers is not so bad right? I knew I was on the right track, but I also knew there was more. I decided to test things out, take a few risks and experiment with my blog to see what tweaks I could make to increase my daily rate of subscribers. After a couple more months, I added an extra 5,000 email subscribers to my list in one month. I’m still no email marketing expert by any means but I’m getting better. I’m going to share with you how you can do the same. But before I show you the how, let’s look at the why. That’s right – with all of my blogs now, building a list of email subscribers is the number one priority. Over 70% of visitors to your site will never return. Gone forever. What a waste! So I’m going to assume you already have a website or a blog that’s generating a decent amount of traffic. If I’m wrong, here’s a step by step guide on how to start a blog. Now let’s get into the juicy practical stuff of how to actually build your email marketing list. If building an email marketing list is your top priority (and you already know why it should be), then the layout and structure of your blog should reflect this. I’m going to showing to show exactly what changes I made to The Make Money Online Blog and how, when all done together, doubled my daily number of email subscribers. Despite what some say, offering a free eBook to potential subscribers is still a powerful way to entice readers to become loyal subscribers, especially if your offer is relevant and helpful. Here’s a great how to guide on how to turn any post or file into PDF you can offer as a free download from our friends at BloggingYourPassion.com. Go one better and invest a little to get someone to design a nice eBook cover. Thanks to tablets and smartphones, we’re all reading eBooks more than we ever have. For me, as well as weekly email updates, I offer The Make Money Online Blog readers a FREE 10 Day Make Money Blogging Course (link to my email opt-in page) as a way of getting people started on the right track and as a way to thank my amazing readers for subscribing. Have you seen those successful blogs with the top of homepage dedicated to getting someone to opt in as an email subscriber? It just so happens, that this works! Some say having an opt in form on your homepage can convert as much as 10%. Depending on your website theme, (I use the Avada WordPress theme), it’s easier than you think to create a great call to action on your homepage. If you’re not sure how to do it yourself, it’s easy enough to outsource it to places like Fiverr.com for about $20. I love what the email opt in at nathalielussier.com – it’s simple and bold, yet personable and inviting. Nathalie also runs an awesome 30 day building your email marketing list challenge which I highly recommend. Pop-ups really work! And there are ways to add a pop-up without annoying your readers. I personally use a light-box, they’re similar to pop-ups but when it shows, the rest of your site goes darkerreader can either exit and continue reading or go ahead and take the action you want them to. Pop-ups can be really powerful if used in the right way. E-consultancy did some research on this and found that pop-ups or lightboxed generate over 400% more leads when than other types of opt ins. It’s easier than you might think to add a pop up to your blog? Email marketing services like AWeber have dozens of different templates which are easily customisable and simple to add to your site. Update: In 2017 Google created different algorithms, one for desktop search and another for mobile. You should know that having pop-ups that are too intrusive or difficult to close could have a negative effective on how you rank in mobile search. Always put your readers first and you’ll be fine. This is a big opportunity I see 99% of bloggers not taking advantage of. Think about it, what better way to offer your email updates to someone looking to find out more about you and your blog? Take a look at at my ‘About Me’ page. Again with AWeber, add a simple opt-in form mid content is as simple as copying and pasting a line of code. Another strategic place to add a call to action for your email marketing list is at the end of each and every post. Firstly, if someone has read to the end of your post this means they obviously find value in what you’re saying and are likely to want to hear more. Secondly, when someone’s finished reading they’re looking for what to do next. Often neglected, it’s important to remember that your website footer is often a place of rest for your blog readers. When readers get to the bottom of your blog, they either scroll back up or leave your site, UNLESS you give them give them something to click, an action to take. And finally, having made all the changes I’ve talked about so far, it’s not time to sit back and wait for your email subscribers to come to you. Find different reasons to mention your mailing list in your posts. In blogging terms we might refer to our email marketing list subscribers as ‘leads’ or ‘prospects’. A good blogger never forgets the value of every person who has given him or her the permission to contact them directly via email and never takes this for granted. Here’s how I see it: each one of my email subscribers has given me permission to contact them and build a relationship of mutual benefit with you. These people are ‘members’ of your community and not just prospects to sell your stuff to. As with writing great blog content, only send emails to your subscribers that have high quality, helpful content. Remember: our job as bloggers is to provide solutions to problems, answer questions people have. Respect and take care of the real people on your email list and you’ll do well. Before anyone signs up to receive emails from me, I make sure they know exactly what to expect – a 7 day getting started course and weekly emails with latest posts after that. So be sure to set expectations and most important, stick to it. If you promise to send an update once a week and send updates three a times a day, you can say goodbye to your subscribers.. When you sign up to email services like AWeber, when you’re setting up your emails, they give you an option to have people submit their name and email and be subscribed immediately, or to have them confirm their email by clicking on a link. The latter is known as a double opt-in and I highly recommend you choose this option. Why? Because it’s not just about the quantity of subscribers or the size of your email list, but about the quality of those people on your email list. Feel free to disagree with me in the comments… but for me, if someone can’t confirm their email address, what chances are there that they’ll even open my emails? AWeber give you really insightful statistics on the percentage of emails opened, how many clicked on the links within your email and so on. This is valuable data that can help you get better. You can find out what’s not working and change it. You can find what’s working and major on it. If you have a sidebar on your blog, is it taking up valuable space on your website? What purpose is it serving? I see too many blogs that are way too cluttered. And of course, I couldn’t end a post on how to build an email marketing list without inviting you to become a part of the Make Money Online Blog community so drop your name and email below and let’s connect! Are you focusing on building your email marketing list as the top priority? If not, why not? And if yes, share with us what’s worked for you below in the comments. This article was SO good! I’ve bookmarked it for future reference. I’ve only just started my website and I haven’t set up my email list for it yet. But now I’ve read your article I realise I need to get to it. Mailchimp is good for small hobby websites because it’s free, but once you reach more than 1,000 subscribers you start paying and it goes up in increments and they don’t allow you to transfer your email list over to another email provider. I recommend AWeber because it’s cheaper and more trusted. Check out my AWeber vs. Mailchimp comparison review. The only one I’m not keen on is #3. I’m not a big pop-up fan. Especially the ones that show up a few seconds after I’ve started browsing! And Google are cracking down on “intrusive” pop-ups on mobile, anyway. Yes I understand in Google’s last Panda update mobile friendly websites and sites without intrusive pop-ups will be ranked higher. I think pop-ups can work well if they’re done in a way not to annoy readers, thinking about things like timing, size, how easy it is to close it, especially on mobile as you say. From what I understand, if someone on mobile has to zoom in to click the ‘X’ on a pop-up your site will be penlised. I also don’t like a recent trend of belittling your readers with pop-ups that show two options like “Yes I want to learn how to…” or “No I want to stay stupid” – I don’t think insulting your readers is a great way forward either. Another thing I have found really helpful when it comes to building your email list is to use content upgrades for your posts that then lead your readers to a resource library to help them put your posts into action! This is a great point Julie, whether it be an eBook or a 7 day video course, a free giveaway, I agree it’s good to have an enticing, value-packed offer to encourage more people to sign up to your email list. Thanks for sharing! Thank you for the post. I was looking for some help on improving traffic. Thanks Nisha, although email and social media marketing are great as streams of traffic, by far my most biggest traffic source is Google. Most other bloggers will probably say the same thing. You can take the guesswork out of ranking in Google by using keywords with every blog post. Now this is a brilliant post Simon. Thorough. Clear. Well researched. Practical. And most importantly, authentic with examples linking back to your own personal experiences. So often, we want to give tips on stuff we have never tried personally. So, I appreciate your authenticity. You shocked me with the “ditch the sidebar” tip. I love sidebars. But, I might take your tip and use it. However, thanks for the many other tips and I’m definitely going to use some of them. Giving free ebooks and email courses does help. I had a friend of mine who made sales worth $2,000 in a single day by selling to his email list. And all he did was to give them a few email course of making their own websites to get them to subscribe. This is what made me love email marketing. $2,000 per day? That’s very impressive. It’s true, email marketing is not going anyway… and if I was given a choice between investing time into social or building my email list… I would choose email every time. The reason I think building an email marketing list is so powerful at increasing your blog’s bottom line is that it opens a direct line of two-way communication; your readers get to know you and you get to know them. This build trust, credibility which turns casual blog visitors into loyal subscribers and sharers. Simon, your post was an eye opener as far as I am concerned. I’m still at the very early stages of this website, and a little bit more ahead of the game with my first website on border terriers. For a long time, especially with my first site, I’ve known that if I want to reach out to the mass, an email subscription system is the answer. I must admit, as you mention I initially always thought that I could never launch my sites to the wider world until ‘they were finished’ or until they looked better. But you are right, I’ve now realised the longer you wait, the more opportunities you end up missing. So Simon, you really gave me food for thought. Yes, I shall definitely follow your advice, I need to roll up my sleeves and crack on with the job! That’s great to hear Giulia, there’s never a perfect time to start, so just start it now! This took me a long time to write so ‘m happy to know you found value in it! Hi Simon I think you’re right on the mark. While I know building an email marketing list is imperative to running a successful online business, you’ve given me some fresh insight and ideas. I will be pursuing this. Right not the theme I’m using has a right hand sidebar, do you think I could add an opt in form there too, as well as the other changes you suggest? That’s always great to hear, thanks Wanda. In answer to your question, if you are going to have a sidebar then add your opt in at the very top where people are most likely to see it and try and keep it as clutter free as possible – don’t make the mistake of filling it up with videos and banner ads.